Walking around all of the midtown attractions can work up a thirst. Take a load off and enjoy a cocktail here. Locals and travelers can’t help but feel that New York charm while gazing off at the panoramic views of the skyline. 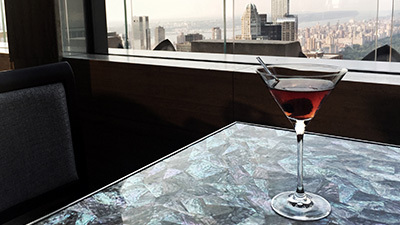 Order a Manhattan and one of the many delicious small plates by Chef Jonathan Wright. A stunning space, delicious food, and did we mention the view? Tucked inside an unassuming corridor between 51st and 52nd streets, this wine bar will be your cozy hideaway. Aldo Sohm is the wine director at Le Bernardin and created his namesake space to celebrate his love of wine and New York. 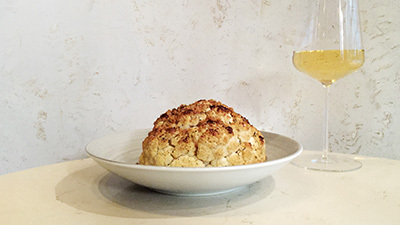 With delicious snacks like this whole roasted cauliflower and a wine list that will make you swoon, Aldo Sohm leaves pretension at the door and provides a relaxing space to experience good company and good wine. "Some of my regular and favorite go-tos in the neighborhood include Blue Ribbon Sushi Bar and Grill at Columbus Circle, The Bar Room at the Modern if it’s still open, and Ardesia Wine Bar on 52nd street. I usually skip wine late after work and have a beer instead!"